Earlier this semester, we spoke with Andrea Everard, Lerner College professor of MIS to discuss how prospective students can best decide if our master of science in information systems and technology management (ISTM) is right for them. 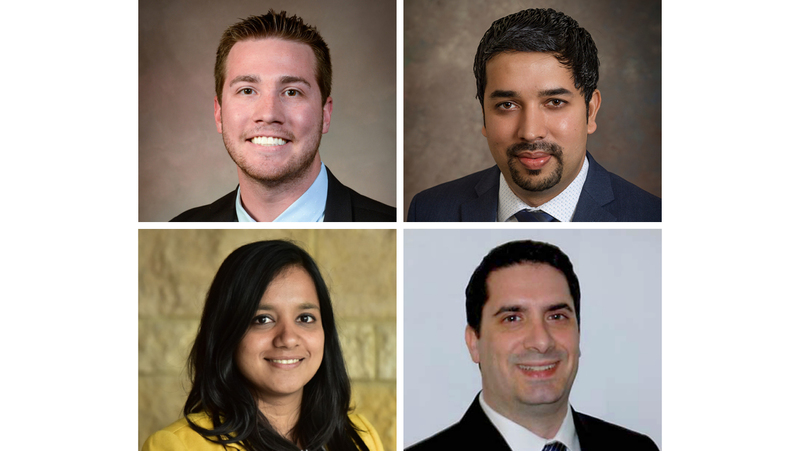 In this article, we get to know some of the alumni of our ISTM program, and learn about the ways they are putting their ISTM degrees into practice. What made you decide to pursue an ISTM degree? I wanted to balance my very technical undergraduate studies and work experience with a graduate degree that provides a wider scope of business and management skills. The curriculum of the dual degree program (MBA+ISTM) allowed me to develop a better understanding of the close relationship between business needs and evolving technology challenges. In my current position as cybersecurity program manager for a large healthcare organization, I am constantly challenged to balance business needs, manage cyber risk and prioritize incident response. My goal is to continue to develop our team’s capabilities to respond to the ever-growing cyber threat landscape. What is your favorite thing about the ISTM program? Throughout the program I had the opportunity to network with classmates and faculty. Our diverse backgrounds and various experiences allowed for many exchanges about our different challenges and ways to overcome them. I have a bachelor’s degree in computer engineering, and for my next step I was looking for a degree that would help me leverage my technical background and apply it towards the business side of IT. ISTM at UD gave me the perfect balance I was looking for, opening up a variety of avenues in the IT industry. I was always interested in understanding the end-to-end processes of businesses with a holistic picture, interacting with end users/customers, and the ISTM program was the ideal way for me to learn that, as it teaches you management skills along with application of IT. What are your current/future career goals? The people! Everyone involved, students and professors, made a big impact on me. Everyone was from a different background; the diversity of experiences everyone came from was enriching. I was mostly surrounded by engineers until I came into ISTM, and meeting people from different backgrounds other than engineering and hearing their take on IT was very different from what I was used to. This helped me gain perspective, think from different sides and apply currently at my job where I meet clients from very different backgrounds, simplify technology solutions for them and help them stay current. The professors were very encouraging of students to have different opinions, because a lot of questions don’t have a binary answer. Some of the professors I met during the program continue to inspire me to this day and are very approachable. I thoroughly enjoyed my experience at UD in the ISTM program. I couldn’t have asked for a better segue in to the professional world. I come from a finance and operations background with considerable experience in management and little exposure to technology. I was looking for a program that would help me develop technical expertise and enhance my management skills. While I was going over various degrees offered by the University of Delaware, I came across the MS in ISTM program. After going through the topics covered in this program, I realized this is a perfect fit for me based on my educational background and work experience. During my ISTM journey, I learnt multiple aspects of technology, which was a whole new world for me. We also had great opportunities to prepare presentations and work on projects as a team. My current goal is to apply what I have learned from ISTM, and get hands-on experience with the technical skills I have gained. Also working on projects/presentations with my classmates helped me to be a better team player. Thanks to the ISTM degree, I want to achieve excellence in the newly added technology-management field and guide others around me. It would be unfair to mention just one thing as my favorite. It has been a memorable experience being part of the ISTM degree for 2 years. Having an open-door policy with faculty was of great help. Interactions with all faculty were very encouraging and motivational. Sessions we had with professionals from different companies gave me insight into what’s in store for me. All classes were interactive and each student was given an opportunity to ask questions or provide their input without any inhibitions. I completed my undergraduate degree in MIS at UD, but I did not know much about the graduate programs. I decided to inquire about the programs and was immediately drawn to the ISTM program. It expanded upon my MIS undergraduate program and provided more exposure to the management side of technology. I was offered an incredible opportunity to be an instructor in the accounting & MIS department at UD, which was a dream come true. I am now in the position to inspire students, just as my colleagues have done for me in the past. My favorite aspect of the ISTM program was the community among other students in my classes and the faculty. Each of my classmates came from a different background, which made for many exciting and intellectual discussions. Every professor I had wanted me to succeed and meet my career goals, and many of them are still mentors of mine to this day.